Lubbock, TX (March 19, 2019) – Just after 7:45 a.m. on Monday, police and medical crews responded to the scene of a pedestrian accident. The accident occurred near 19th Street and Inler Avenue. According to police, a pickup truck struck a construction worker along the roadway. The construction worker sustained moderate injuries in this crash and was transported to a nearby hospital for treatment. Our thoughts are with the injured construction worker at this time. We hope the injured worker is able to make a fast and full recovery from their injuries. Those who work in the construction industry are at an increased risk of being involved in some type of workplace accident. Unfortunately, the risk is greatly increased for construction workers charged with maintaining and repairing roadways across our state. Between 2011 and 2015, 67 construction workers were killed by vehicles while on the job while hundreds more were injured. Unfortunately, no matter how cautious workers are, they cannot control the manner in which drivers on the roads control their vehicles. 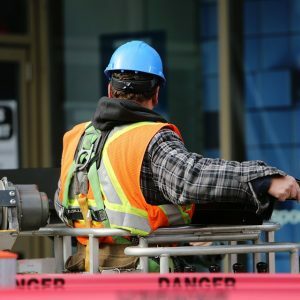 When construction workers are injured in pedestrian accidents, it is crucial for them to contact a personal injury attorney in Texas as soon as possible. Injured workers may be able to obtain compensation for lost wages, medical expenses, and various other damages resulting from the incident. Texas accident lawyers at the Benton Law Firm have extensive experience helping accident victims obtain millions of dollars in repayment for their injuries and damages. Our team of experienced attorneys works diligently to help ensure accident victims across Texas are able to collect full and fair reimbursement for their injuries. If you were injured due to a negligent or reckless driver, contact our law firm at (214) 219-4878 to discuss your legal options.